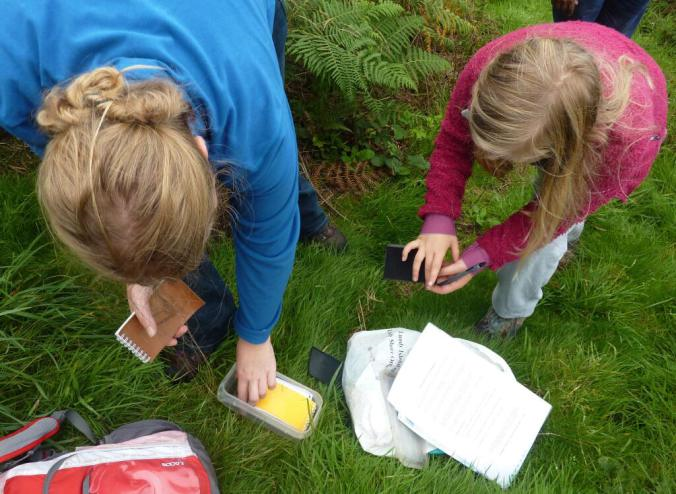 Lundy Letterboxing – hobby or obsession? | Get Down, Shep! ← Masterchef – the year of the blob! I’ve just come back from my fourth visit to Lundy, and my second time of being on the island to see the New Year in. 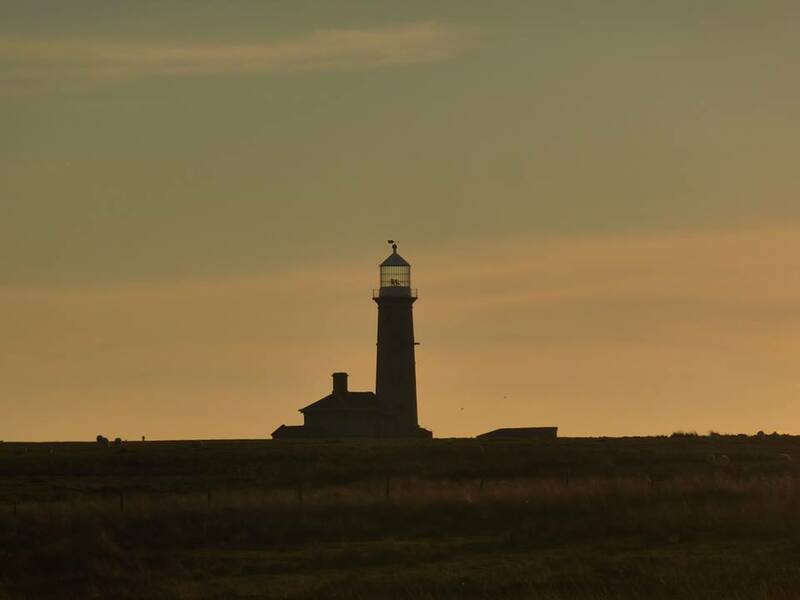 There is something very special about this magical island that casts a spell over many a visitor, that sees them returning year on year and I am no exception to this spell. Having got home, I thought I’d look up this blog post that I wrote as a guest blogger for Into The Orchard after my first visit to the island, and give it a cheeky repost here. Recently I was fortunate to go to Lundy Island with a group of friends to celebrate my birthday. Lundy is a three mile lump of granite rock in the middle of the Bristol Channel, owned by the National Trust and leased to the Landmark Trust, and with a number of holiday cottages / properties on it. Before going, I read up about the island so knew a little of what to expect; I knew that it was a place where time seems to stand still; with no real roads or cars, no television / radio in the holiday lets, and where the electricity comes from the island’s generators rather than the national grid and runs out each night about midnight! I knew that there was a shop, a church and a pub, whose door never shuts and where mobile phones and other electronic devices are banned – you get fined £1 for using them – although I couldn’t get a mobile phone signal on the island anyway! I also knew about the wildlife; that it is the only marine conservation zone in the UK, that it has puffins (the island’s name means Puffin Island in Norse), seals, basking sharks and is the only place in the world where the rare and unique Lundy Cabbage grows. 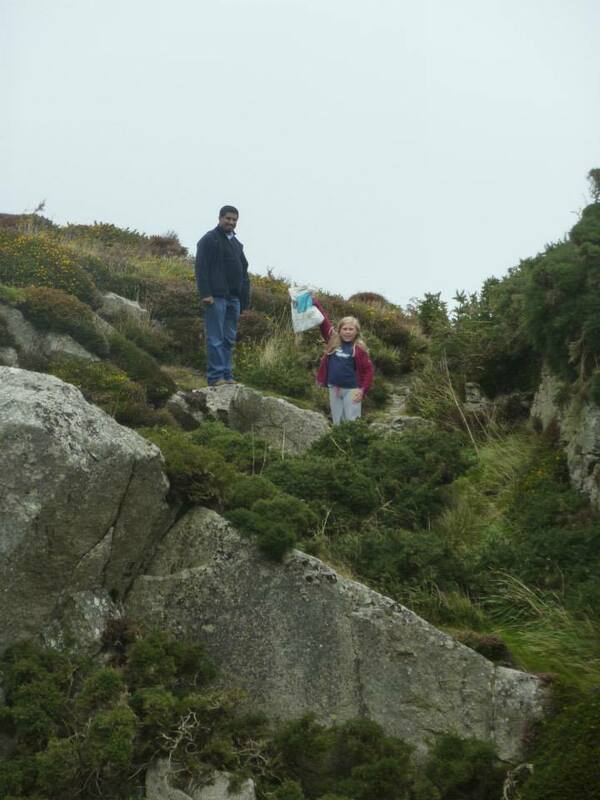 What I didn’t know about was the well-kept secret of Lundy Letterboxing. The island has one of the world’s oldest private postal services, and produces its own stamps which have to be placed on the top left-hand side of the letter due to the island’s quirky franking system. There is one letterbox in the wall behind the pub where I soon posted my postcards home. 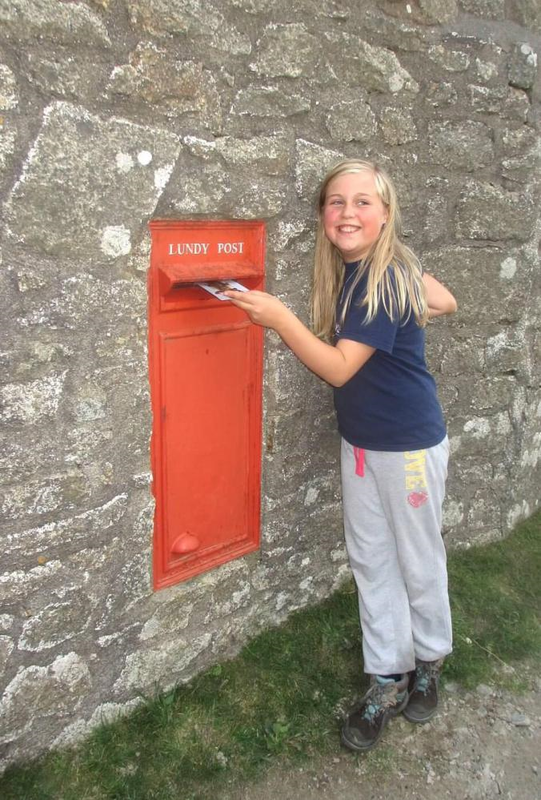 However there are also 27 other letterboxes craftily hidden around the island, leading to a unique Lundy pastime that quickly becomes an obsession – called Letterboxing. This is like a cross between Geocaching and Orienteering; an ingenious treasure hunt for children and adults alike. The Lundy letterboxes come in various designs; some are wooden boxes, other weatherproof tupperware boxes, wrapped in two Lundy island carrier bags and hidden in some very crafty places around the island; under rocks, tucked into a crevice, in a cliff, in a cave or a stone wall. Each letterbox contains an ink pad, a stamp that is unique to the letterbox’s hiding place and a little notepad. Some of the letterboxes contain stamped-addressed postcards left behind by previous letterboxers – if you find a postcard in the letterbox you remove it and post it back to the owners and you can also leave a postcard somewhere for the next letterboxer to find and post back to you. Also one box contains the shy but athletic Lundy Bunny that hops around the island from letterbox to letterbox. 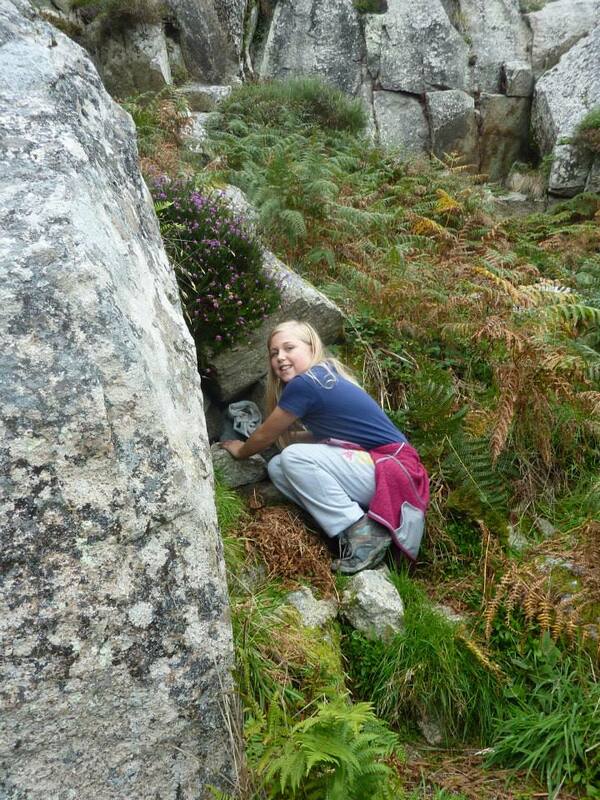 If you find the Lundy Bunny you are allowed to move it to another letterbox, hence the athleticism! To get started you buy a pack from the shop which contains some laminated clues, your own little notebook (to stamp up with proof that you have found each letterbox) and a stamped postcard. You can also hire a compass for a returnable deposit, and your own design of stamp to use in the notepad in any letterbox you find. Then you eagerly set off with the spirit of adventure to find your first one. Almost everyone starts with the easiest one – it’s in the pub! There is a danger that once this is found, the delights of the wonderful Marisco Tavern ensnare you with its books, board games, delicious food and beer so that you decide to give up and not bother going on the hunt for letterboxes. However for those who persevere, the delights of letterboxing very quickly become apparent and the hunt for the elusive letterboxes takes you to places on the island you would probably miss if you were just going for a walk. As we found each one we took a photograph of the finder triumphantly holding up the letterbox, and thus we all need to explain to anyone looking at our holiday photographs of why we have endless photos of us beaming whilst holding up what looks like a manky carrier bag! Each of the letterboxes has a name and the letterbox stamp reflects the name and character of the place in which it is hidden. Two of the letterboxes were named The Lost Heinkel and The Forgotten Heinkel. We had no idea what a Heinkel was and spent ages looking unsuccessfully for The Lost Heinkel on day one; ignoring a heap of metal that we thought was the remains of a burnt out tractor. Only when we found The Forgotten Heinkel did we learn that a Heinkel is a German aircraft company and the heap of metal was the remains of a Heinkel aircraft that crashed on the island in World War II. We had clearly been in the right area but just failed to find the letterbox despite much searching. Some of the clues are quite esoteric. We spent ages searching around under a beak shaped rock without success, only to discover it was the wrong beak shaped rock. When we found the correct beak shaped rock it was clearly far beakier than our previous rock leading to much kicking ourselves for our short sightedness. One of the clues suggested we found a rock that looked like a piece of cheese – we read this clue whilst standing on top of hundreds of rocks that all looked like cheese given a bit of imagination! We managed to find 7 letterboxes on day one and retired to the pub for a well-earned pint. In the pub is a letterbox log book; a journal in which letterboxers can leave clues or helpful tips and hints, or write about their experience of letterboxing, have a moan about their frustrations of trying to find some of the harder letterboxes or boast about how quickly they have managed to find them. One contributor to the log book suggested that the best approach was to adopt a Zen-like position; to let the letterboxes come to you rather than the other way round. We tried this on day two with varying degrees of success! Reading the log book also gives an insight into how much of an obsession letterboxing can become. Some people split into teams and see who can find the most in the fastest time. Then there are those who think that they should add additional letterboxes, quickly followed by complaints and entries to explain that the illegal letterboxes have been removed! Lots of people write complaining that it is too hard, especially for children and there are lots of entries from children themselves stating how much fun they had trying to find them and how easy they were to find! So if you find all 27 letterboxes do you get a prize, cash, freedom of the island, discount on your next holiday, a free pint, or a combination of all these? No, you get a certificate and your name goes in a book of achievement in the pub. This seemed really quaint and old fashioned at first and hardly worth all the effort but very soon the magic of Lundy caught on and suddenly that certificate became much sought-after and desired. There is an incredible sense of achievement you get from finding each one and so to find all 27 must feel like a mammoth achievement that brings with it its own sense of satisfaction. Some people take years to find them all coming back time and time again and searching for the hardest to find. Many children take part; their parents commenting in the log book about how it was a great way of keeping children interested in exploring the island and yet some of the letterboxes were incredibly inaccessible and quite dangerous, requiring the letterboxer to scramble across rocks and climb cliffs. The island is the land that health and safety forgot with a deliberate philosophy of not putting ropes or signs up to warn people of danger which actually makes people take more care. So I did muse on how many children had been sent off letterboxing by unwary parents to death traps, but the log book didn’t seem to record many letterbox-related injuries / broken legs other than the odd complaint about grazes and bleeding fingers! After 3 days of intermittent letterboxing, we found 14 – and were pretty pleased with that haul. We found one self-addressed postcard which we duly posted and we left our own self-addressed postcard for the next people to find and post back. It arrived only a few days after being left; despite leaving it in what we thought was one of the more difficult boxes to find. We didn’t find the Lundy Bunny though, to the disappointment of the ten year old in our group. We never did find The Lost Heinkel either despite going back and trying a Zen approach on day two and it remained lost to us. I can’t say I’m too disappointed; having caught the Lundy letterbox bug it gives me a huge excuse to go back to this wonderful island year on year just to find the remaining letterboxes! On returning from Lundy, I found this blog where they have found all the letterboxes and claimed their certificate and have taken photos of all the stamps. 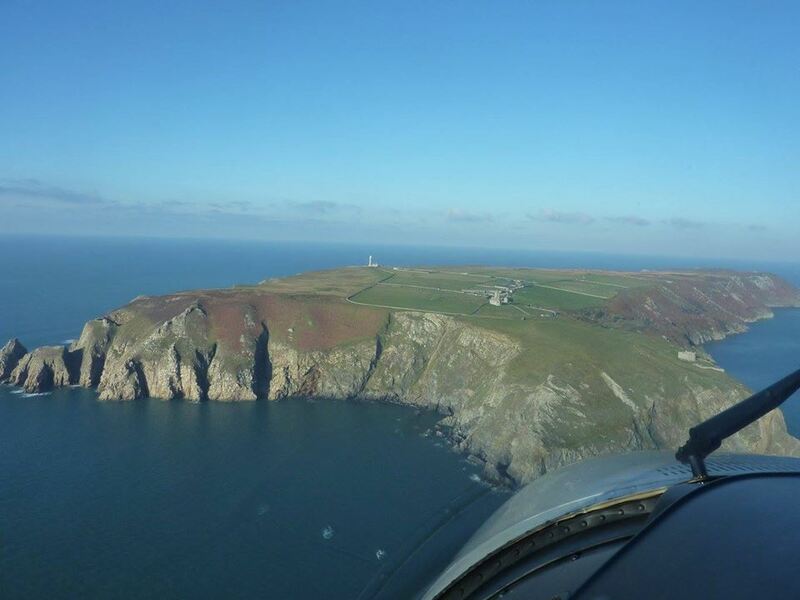 This post was written in 2013 after my first trip to Lundy. I seem to have got worse at letterboxing – this New Year I didn’t manage to find a single letterbox. But I’m putting that down to bad weather that kept me from going out letterboxing and not, no definitely not, that if I find them all it will remove an excuse for me to keep visiting the island! 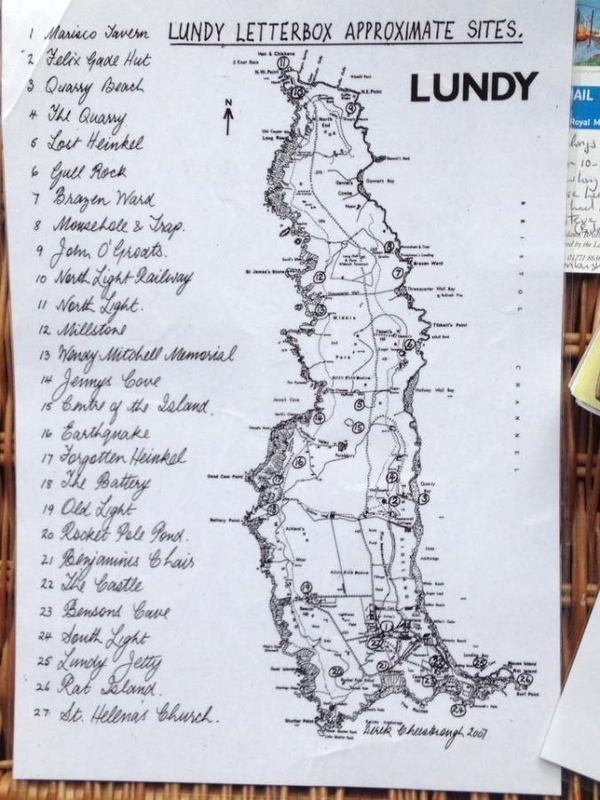 This entry was posted in Landmark Trust, Lundy and tagged Holidays, Landmark Trust, letterboxes, Lundy. Bookmark the permalink. 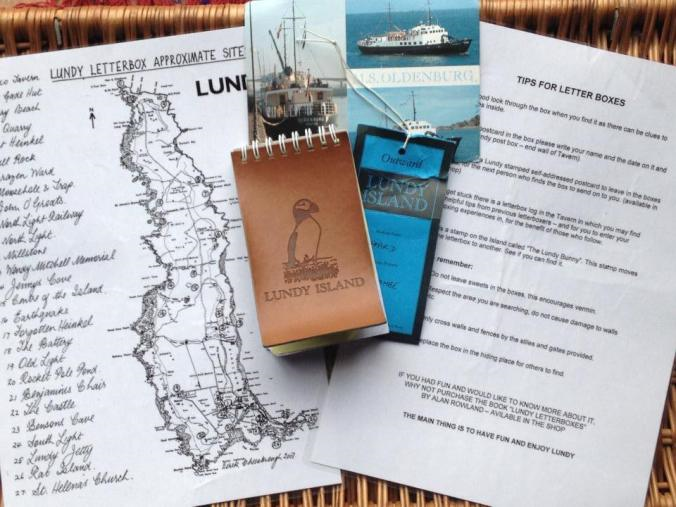 1 Response to Lundy Letterboxing – hobby or obsession? 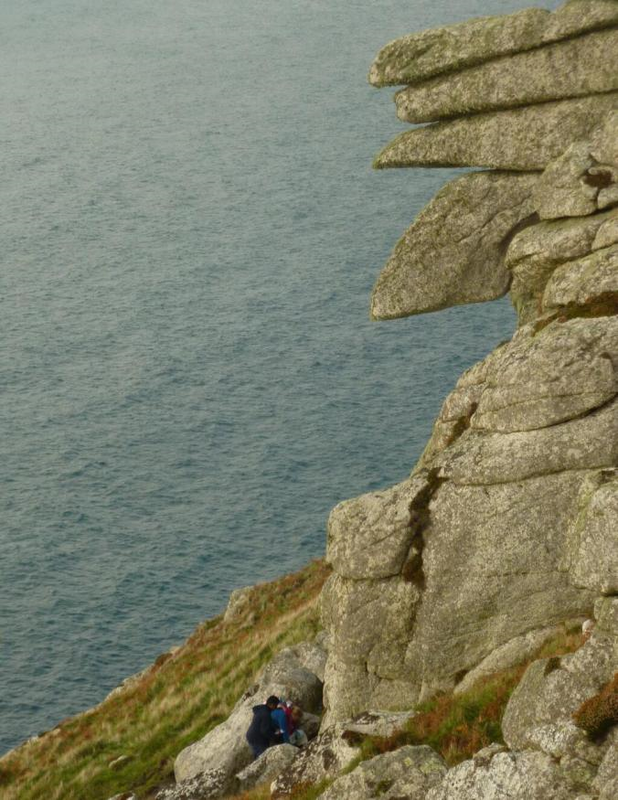 Pingback: Running on Lundy Island | Get Down, Shep!